When you find yourself with an excess of milk in the refrigerator, you don't have to let it go to waste. 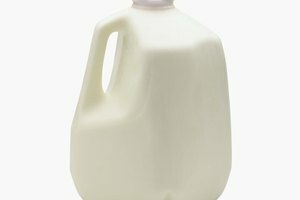 Freeze your milk in glass bottles with secure lids. 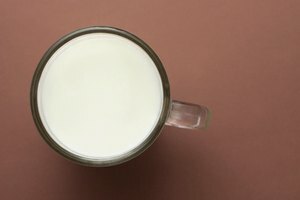 Generally, milk is safe to freeze for up to three months. Upon removing it from the freezer, be sure to follow the recommended guidelines for thawing to ensure it will retain as much quality as possible. Wash the glass bottles to ensure they are clean. Rinse the bottles and place them on the counter for filling. Pour the milk into the glass bottles. Stop filling the bottles when they are about 90 percent full. You must leave 10 percent of the bottle empty to allow the milk to expand during the freezing process. Err on the side of caution and fill the glass bottles a little less than 90 percent full just to make sure you do not make a mess in the freezer. Screw the caps onto the glass bottles tightly. Place the bottles into the freezer in a safe and secure spot and close the door tightly. 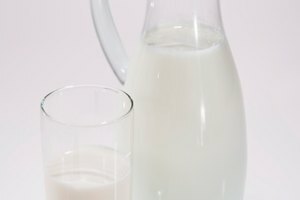 Leave the milk in the freezer for up to three months. Remove the milk bottles from the freezer when you are ready to thaw them. Place the frozen milk bottles in the refrigerator and allow them to thaw completely. This may take up to 24 hours. 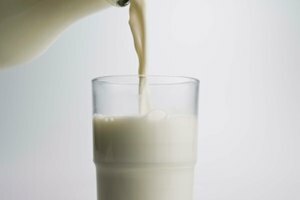 Milk with less fat content freezes better than milk with higher fat content.